A couple letters lighter, rapper/producer/audio engineer Artic (formerly Articulate) delivers forward thinking, innovative, genre bending Hip-Hop music, while sticking to the essence of dope beats and rhymes. Sometimes introspective, sometimes enlightening, sometimes a little ignorant, Artic’s voice, flow, and lyrics will grip your emotions within seconds and make you laugh, cry, and most of all think. Born in Washington, DC, raised in Baltimore, MD, this former Howard University and Art Institute of Washington student’s music has captivated audiences in the DMV and beyond. He has performed in various cities, including Washington, DC, Baltimore MD, Philadelphia, PA, Wilmington, DE, and New York, NY, at venues including Howard University’s famed Cramton Auditorium, University of Maryland’s Stamp Student Center, Drexel University, and many more, opening for artists such as Roc-a-fella & State Property’s Freeway, platinum selling group Nappy Roots, Stone’s Throw artists Roc C and Oh No, revolutionary emcee Immortal Technique, DC Go-Go sensations Mambo Sauce, and Roots crew affiliate Hezekiah . His music has also been featured on many radio stations, including Washington DC’s WPGC 95.5, Morgan State University’s WEAA 88.9, Howard University’s WHBC, and numerous internet radio shows and podcasts. 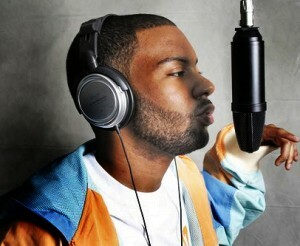 In addition, his songs and features have been covered by most of the leading Hip-Hop websites. His upcoming project, tentatively titled Genius Vs. Insanity, with its influences not only from Hip-Hop but also reggae, rock, EDM, & Baltimore Club music, will continue to push music forward and propel Artic far beyond previous successes into realms unimaginable. Hip-Hop For Black Unity is a movement that seeks to address the many problems faced by the Hip-Hop generation and to offer tangible strategies to alleviate negative conditions that impact Hip-Hop as an Industry and as a component of a larger Black Culture as well as those who practice it professionally and those who are affected by it, both locally and thus globally.